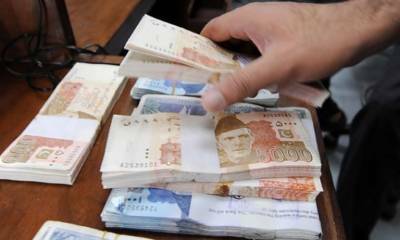 ISLAMABAD - The PTI government is likely to issue euros and sukuk (Islamic) bonds worth $3 billion in order to generate money for the loans repayments and other issues. However the loans worth more than 6 billion are likely to be taken from other sources. Loan of $2 billion can be taken from commercial banks. The government is likely to take loans of $840 million from China. The Asian Development Bank (ADB) can lend Pakistan $1.38 billion, Islamic Development Bank can provide $1 billion and World Bank can loan out an amount of $700 million. During July 2018, Pakistan took a loan of nearly $470 million. The State Bank of Pakistan issued details of government dues and loans at the end of fiscal year 2017-18 on August 28, according to which the government’s debt has reached Rs29.86 trillion.